GRASS MASTER’s high quality grade fertilizers will provide you with that lush green lawn you have always wanted! Some companies want to charge you big bucks to fertilize your lawn with cheap, knock-off fertilizers. Sure, they may green up your lawn quickly but are they really doing you a great service? The long term health of your lawn is dependant on many variables: nutrient, water and oxygen absorbtion, soil elements, sun exposure and watering frequency, invasive weed control and last but not least; the quality of the fertilizers used to feed your lawn! Grass Master Lawn Care of Hudson and River Falls, uses ONLY the highest quality commercial grade Lesco fertilizers to provide your lawn with the right amounts of nutrients vital for the long term health of your turf! GRASS MASTER uses only industry leading equipment when spreading and spraying your lawn, making us leaders of the industry for production and efficiency! 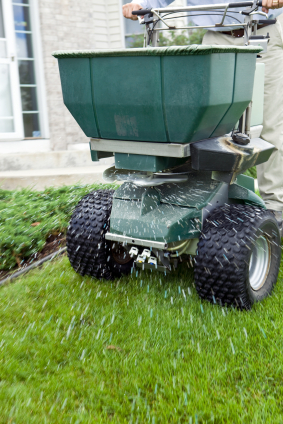 Knowing exactly what fertilizers your lawn needs, when it needs it, and the rate of application required can be overwhelming and possibly even disasterous! The Grass Master Lawn Care & Grounds Control team are industry leaders in the Hudson and River Falls, WI area when it comes to understanding lawn requirements and utilizing state-of-the-art application equipment! Grass Master is licensed and fully insured. Our staff is knowledgeable, experienced and sincerely care about the job they do and the results they produce! 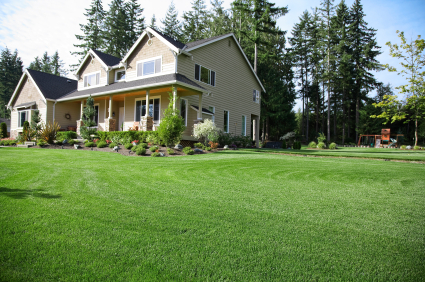 Call Grass Master Lawn Care today for a no pressure consultation and free estimate to get your lawn on the right path to looking better than it ever has! !